If a customer goes ahead with a quote (or you use quotes as proformas and they pay) then you can easily convert a quote to an invoice. 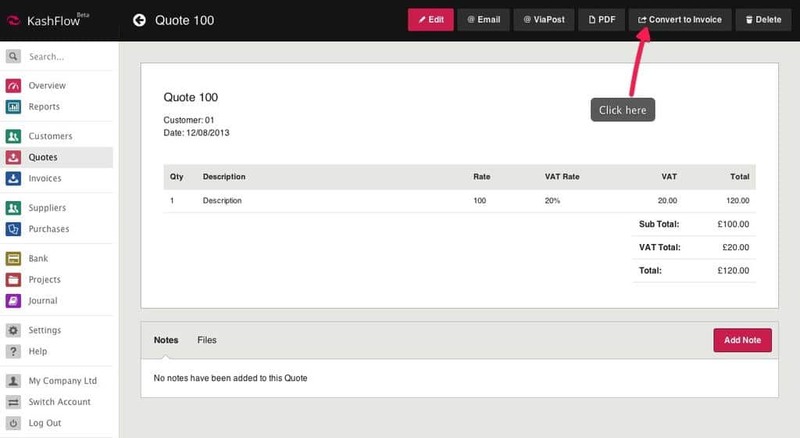 All line item sales codes, amounts, VAT rates and descriptions will be copied over to the invoice. Invoices form part of your accounts whereas quotes/proformas do not. You can convert a quote by going to Quotes > Selecting the quote > Click Convert to Invoice . You’ll then be asked to confirm this action. When you’re ready, click the Convert to Invoice button. You’ll then be taken to the invoice. 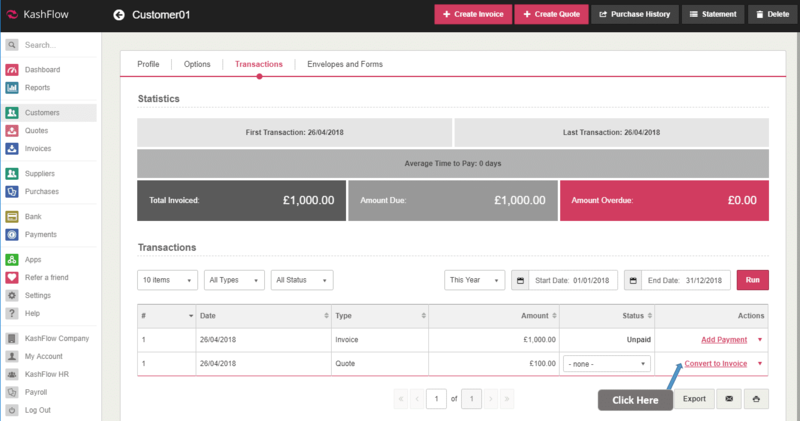 You can also convert quotes to invoices from the Customer Record, you can do this by going to Customers > (Select the customer record) > Transactions and within the list of transactions you will see invoices and quotes listed together. On the row where your quote is listed, on the right hand side you will see a link for “Convert to Invoice”. If you click this link, you will be asked to confirm this action.